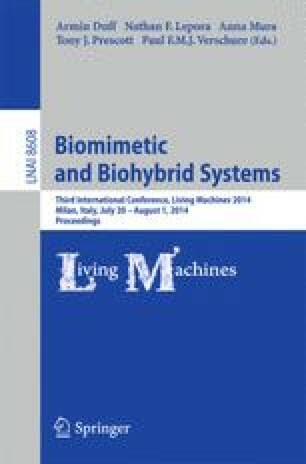 We present the design of a new two degree-of-freedom transmission intended for micro / meso-scale crawling robots which is compatible both with laminate manufacturing techniques and monolithic,“pop-up” assembly methods. This is enabled through a new design suite called “popupCAD”, a computer-aided design tool which anticipates laminate manufacturing methods with a suite of operations which simplify the existing design workflow. The design has been prototyped at three times the anticpated scale to better understand the assembly and motion kinematics, and simulated to establish the basic relationships between the actuator and end-effector transmission ratios. This material is based upon work supported by the National Science Foundation (grant numbers EFRI-1240383 and CCF-1138967) and the Wyss Institute for Biologically Inspired Engineering. Any opinions, findings, and conclusions or recommendations expressed in this material are those of the authors and do not necessarily reflect the views of the National Science Foundation.